This is a wonderfully sweet strawberry pie. It’s easy to make and goes great with ice cream and coffee. Slice the strawberries into quarters and toss with the corn starch in a bowl. Add the sugar and toss again. Add the water and blend and let sit for 20 minutes. 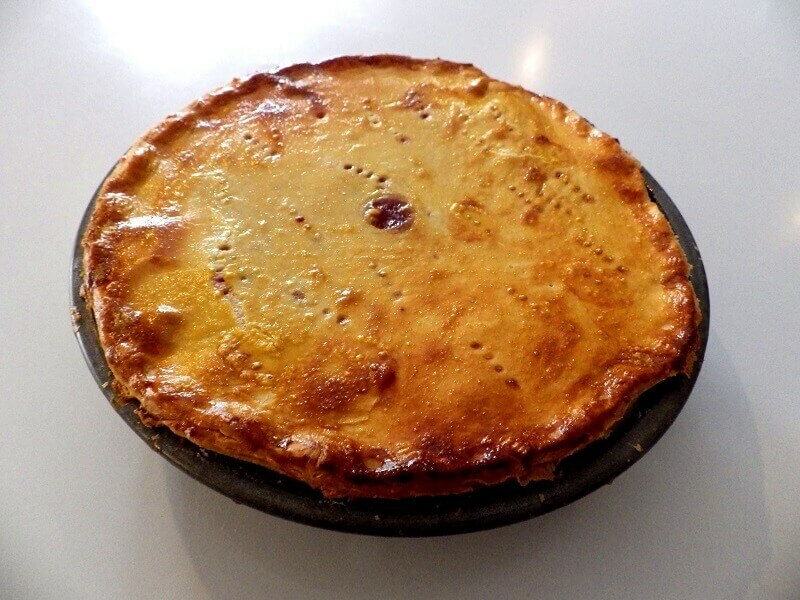 Butter a 9-inch pie pan. Preheat the oven to 425° F./220° C. Roll out the dough on a floured surface until it is at least 9 inches or more in diameter and place over the pie pan. 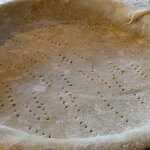 You can roll the dough around a rolling pin and then unroll it over the pan to make it easier to handle. 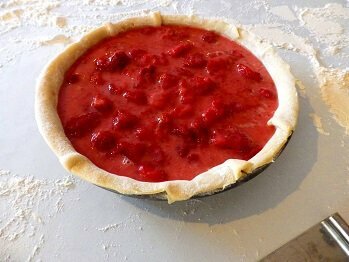 Poke the bottom of the dough with a fork and add the strawberry filling. 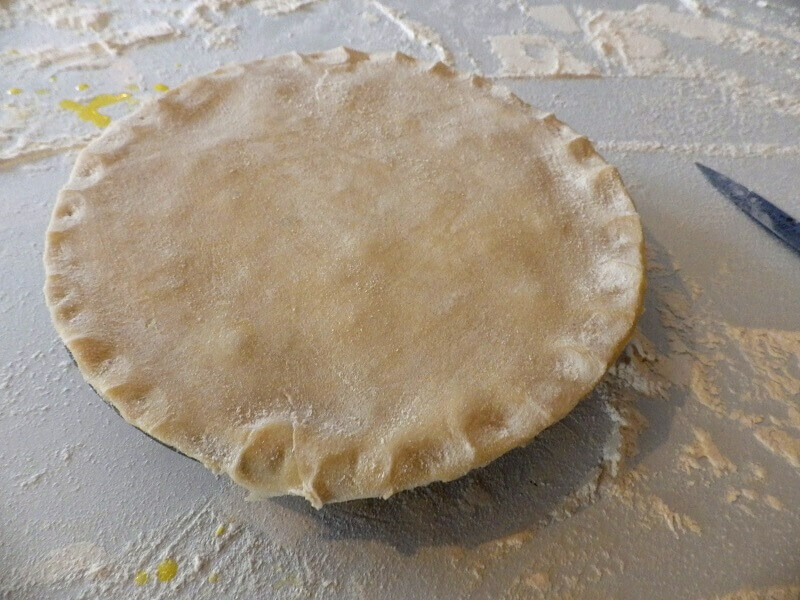 Top the pie with another sheet of pie dough. Press the edges of the dough together around the rim. Trim off the excess dough using a knife. Make an egg glaze from one egg yolk and a tablespoon of water. 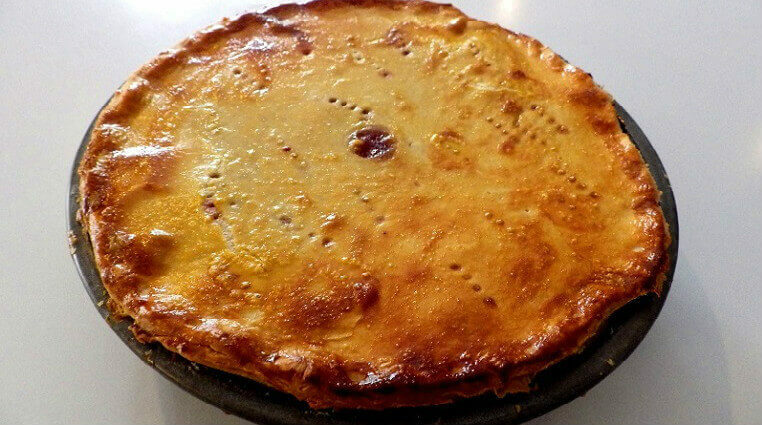 Mix the glaze and brush over the top of the pie. 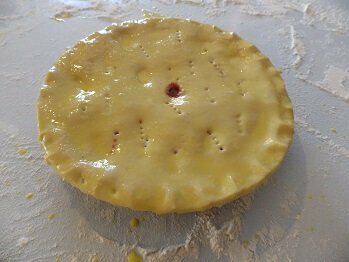 Poke the top crust with a fork and make a small hole in the center with a knife to let steam escape. 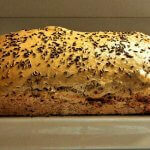 Bake on a foil lined cookie sheet at 425° F./220° C. for 35 to 45 minutes or until crust is browned. The cookie sheet will catch any drips that emerge from the seams. Let rest for 30 minutes and slice and serve. Top with whipped cream or ice cream if you like.